"What Pakistan needs to do is to turn the page on the long history of authoritarianism and strengthen the democratic transition that has begun. Many of the problems and issues that Pakistan is facing today are the result of authoritarianism." 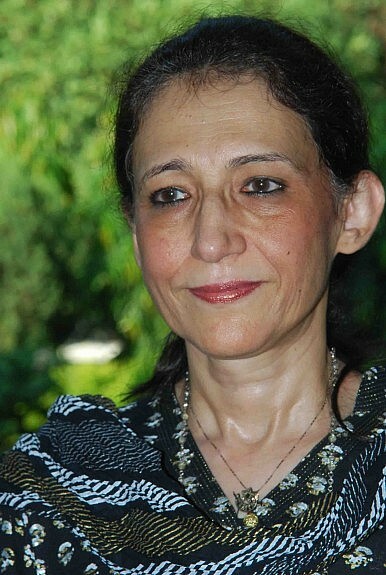 The Diplomat’s Sanjay Kumar spoke with Pakistani-American historian Ayesha Jalal about her latest book The Pity of Partition, the tragedy that was the partition of India and Pakistan and the prescience of the great Urdu writer Saadat Hasan Manto. Was the partition of Indian subcontinent inevitable, or was it avoidable? Whether the ills affecting the region are a byproduct of that tumultuous decision of 1947 or not: the question haunts expert and layperson alike. Ayesha Jalal, a Lahore-born historian who teaches history at Tufts University, is one of the few academics to challenge the division of the Indian subcontinent. For her, the Radcliffe Line, the boundary between India and Pakistan, laid the foundation for bigotry in Pakistan and for the sad state of affairs in the region. Jalal’s latest book Pity of Partition brings the focus back to the tragedy of the 1940s. The book presents an intimate history of the partition and its devastating toll through a compilation of the works of renowned Urdu writer Saadat Hasan Manto, who became a popular name on the subcontinent for questioning the wisdom of partition. Manto’s works demonstrate a disillusionment with his adopted country for making religion the fulcrum of political activities. As early as the 1950s, he anticipated a nation besotted with religious extremism. In the book, Jalal mines the writings of the great Urdu writer for fresh insights into everyday cosmopolitanism in Mumbai and Lahore, the experience and causes of partition, the postcolonial transition and the advent of the Cold War in South Asia. Jalal, author of more than seven books on South Asia and one of the authoritative voices on the history of the Indian subcontinent, was in New Delhi recently to launch her latest work. She spoke with The Diplomat’s Sanjay Kumar. Why the title Pity of Partition? Pity of Partition is about the human tragedy that is the partition of the subcontinent. It is the tragedy of Saadat Hasan Manto, who could not reconcile himself to the partition and the bloodbath that it brought. It destroyed centuries of brotherhood and inflicted wounds that will take centuries to heal. Manto therefore pities the partition. What does Manto mean now for the Indian subcontinent? For those who are admirers of Manto, he is a bridge between two countries. He is as much India’s as he is Pakistan’s. I think what’s most remarkable for a historian about Manto is that despite the absence of state support in either country, he has remained alive in both. He is reaching out to youth who have no means of knowing Urdu, the language of his writings. He has inspired not only mainstream writers who have government patronage, but many others. He is a common asset for both countries. His literature binds both nations. Manto tells us you cannot partition literature. Secularism, multiculturalism and tolerance are the abiding theme of Manto’s works. To what extent do you think Pakistan has lived up to his vision? Not at all. Manto’s vision and the direction Pakistan has taken are two completely different paths. What I want to say is that he foresaw where Pakistan was headed, when identity politics started being played. Religion is part of every one of us and to make it a focal point of everything and criticize everything that way, I think Manto saw that as problematic. He has been proven correct. Manto’s vision was very different, what he thought was different. He anticipated, he wrote about all these things when Pakistan was still a relatively moderate country. He was foreseeing everything. He was foreseeing what too much religious identity in the political domain would do to the new nation. Religion is not something to be politicized and if you do that then the result is there for everybody to see in Pakistan today. What would Manto have thought had he seen present-day Pakistan? Manto was very outspoken. In modern Pakistan, he would have been marginalized. At the same time he would have been an asset for those who aspire to peace and normalization on the subcontinent. His presence would have acted as a bridge for bringing the two nations together. South Asia lost an asset with his death at a relatively young age. But his spirit is still alive in the subcontinent. Religiosity in Pakistan is being contested and those who are doing that are the followers of Manto. Manto’s words and thoughts are still guiding a progressive new generation in Pakistan. I hope the country will overcome this terrible moment. Coming to partition as a historian, how do you look at it. Was it inevitable? I don’t think it was inevitable. It was a question of choice and a political choice has been taken. It has been made so let’s make the best of it. I would like to say certain aspects of our common history and our future are intrinsically tied. I would like to emphasize the common notion of understanding and empathizing with each other if we want to make peace. If you want to remain on a trajectory of differences and conflicts then we don’t need to do anything and continue to be what we are. As a historian, how do you look at the trends in India? I think there are trends in India as in Pakistan that are worrying. I think had Manto lived in India of today he would have been hounded by the brigade of cultural police. What they did with the painter M F Hussain; he was exiled. We have to keep in mind the struggle we have ahead to keep the plural traditions of the subcontinent alive. Our fight with bigotry and chauvinism is long drawn and we have to keep fighting against such evils to protect the civilizational assets of the subcontinent. How do you look at Pakistan’s ongoing struggle to keep the idea of Pakistan alive? What Pakistan needs to do is to turn the page on the long history of authoritarianism and strengthen the democratic transition that has begun. Many of the problems and issues that Pakistan is facing today are the result of authoritarianism. I hope things will change. The idea of Pakistan is not a single idea; it has been dreamt by many in different ways. How you do you see the India-Pakistan relationship evolving? I think there is plenty of potential for a breakthrough, but I am not sure how fast we can progress, keeping in mind the politics of that relationship. I feel sad. Everybody has to work together to bring these countries together and create a common infrastructure of peace on the subcontinent.